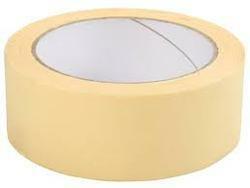 We are providing our clients a large collection of Masking Tape which are highly demanded and used in the market. These are specifically designed and developed tapes using advanced technical methods and high quality raw material. We have these tapes in various standard sizes of packaging rolls to meet requirements of each client. Further, our clients can avail the offered roll of tapes at market competitive price.